Name of a Gothic Jew occurring in a Hebrew epitaph found near Parthenit. Chwolson places the inscription in the fifth century; and the change from the Wulfianic name "Harjafrithila" ("th" as in Eng. 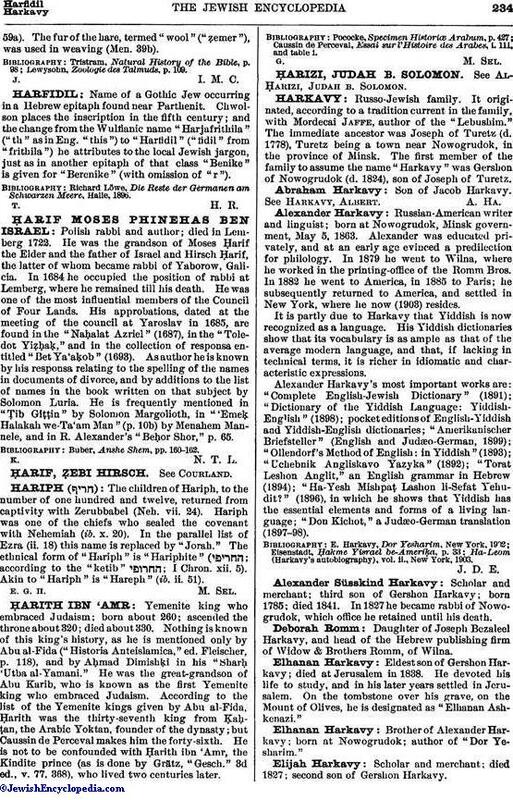 "this") to "Harfidil" ("fidil" from "frithila") he attributes to the local Jewish jargon, just as in another epitaph of that class "Benike" is given for "Berenike" (with omission of "r"). Richard Löwe, Die Reste der Germanen am Schwarzen Meere, Halle, 1896.